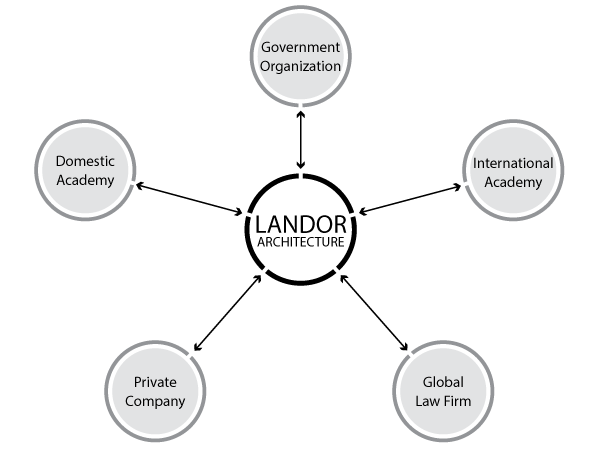 LANDOR ARCHITECTURE is in the course of developing an innovative fully automated construction system. Until now, a series of errors in the interpretation of construction documents, measurement, and marking process have been found and accepted as a norm in previous construction processes that relied solely on the workmanship of the builder. To automate and integrate these three core processes, LANDOR ARCHITECTURE is developing a robot system based on AI algorithm, automated marking technology, real-time localization technology, space sensing technology, and data transfer technology. Through this system, the construction budget is expected to be reduced greatly as the accuracy of measurement and quality of construction will be improved and naturally the time of completion as well. Currently, the prototype of ARCHIBOT is developed in conjunction with an applicable platform of accurate position measuring, which is necessary not only for architecture, but also for various other industries as the upside potential to apply this new AI based technology is quite high.